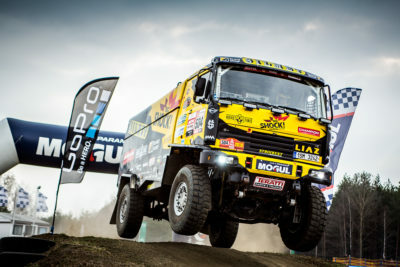 KM Racing Liaz truck crew consisting of Martin Macík, František Tomášek and Michal Mrkva claimed the second place in the HunGarian Baja. Lukáš Kvapil took gold in the motorcycle race. After the bronze from Baja Aragon, Martin Macík Jr. added another medal to his collection by taking a silver in the very thrilling race in Hungary. This is indeed a great success as the HunGarian Baja is a part of the FIA and FIM cross-country rally world championships and Martin had the difficult task of defending the title from last year. The rally opened by a 4 kilometre long prologue, or a super special stage, which Martin won. In the next days the racers tackled 3 stages, 100 kilometres each. “The track was very dry, rutted and bumpy, which I enjoyed very much. But it took me a while to start really going. But the truck ran like a dream, so I could keep speeding up,” said Martin Macík. 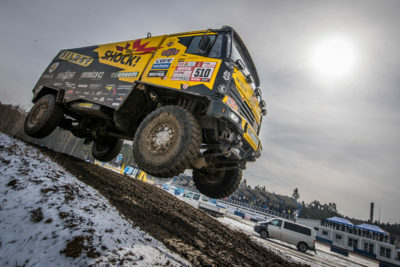 After their success in the prologue, the crew also scored victory in the first stage. In the two remaining stages Martin finished in the second place both times, thus securing the overall silver, less than two minutes behind the winner. 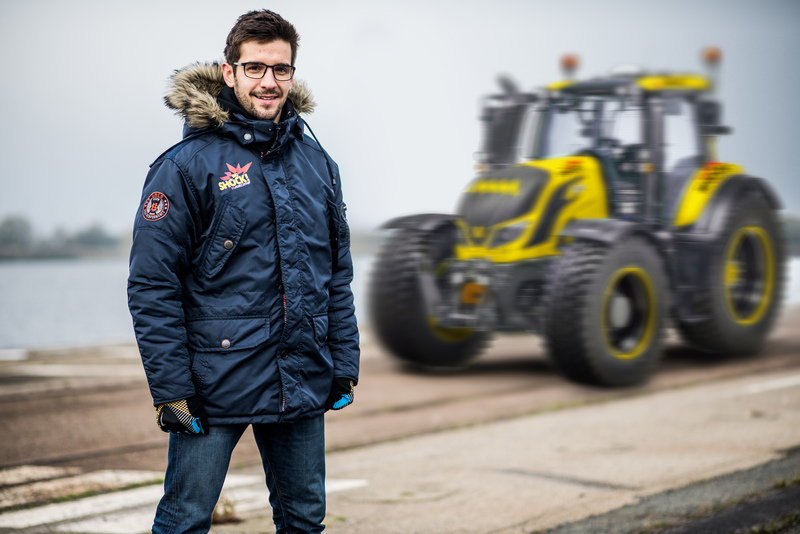 On 27th August Martin will take part in another race, Baja Poland 2015. “I am really happy to see that I gain sureness with every race. I am looking forward to Poland very much,” concluded Macík. The HunGarian Baja was also a good opportunity to test new helmets created especially for the KM Racing crew by Rallye Design. 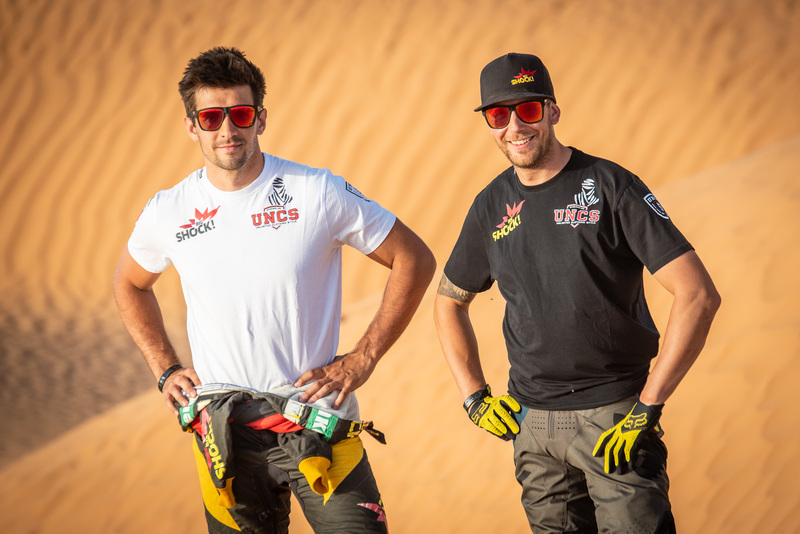 The crew will wear them for all the upcoming races including the Dakar Rally. Martin’s fans can still support him on his journey to Dakar through the Todokazeme.cz funding project. By bringing home two medals from Hungary, KM Racing clearly shows that they are on the right track.